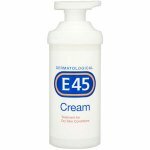 E45 Emollient Shower Cream is different from normal shower gels because it is completely non-drying. 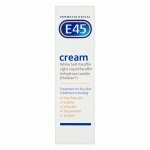 Free from soap and detergents it actively moisturises skin, and protects against further drying. 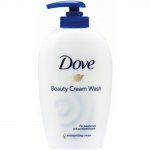 It cleanses gently and effectively, leaving dry, itchy skin feeling soft, clean and more comfortable. Apply to wet skin, massage gently then rinse off. Take care not to slip. Gently pat the skin dry with a towel. For external use only. Avoid contact with eyes. If symptoms persist talk to your doctor or pharmacist.